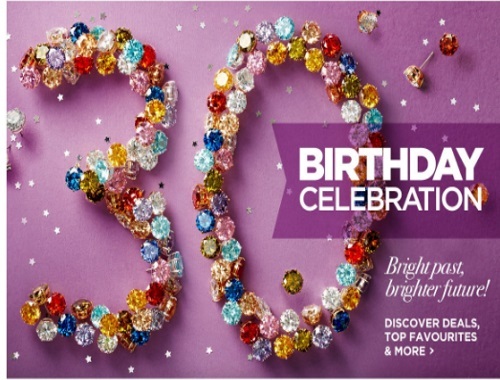 The Shopping Channel is celebrating their 30th birthday! There will be daily prizes to be won, shop and enter for a chance to win! Discover a new deal everyday with $30 birthday specials! Reveal your secret savings of $10 to $500 off your next purchase.